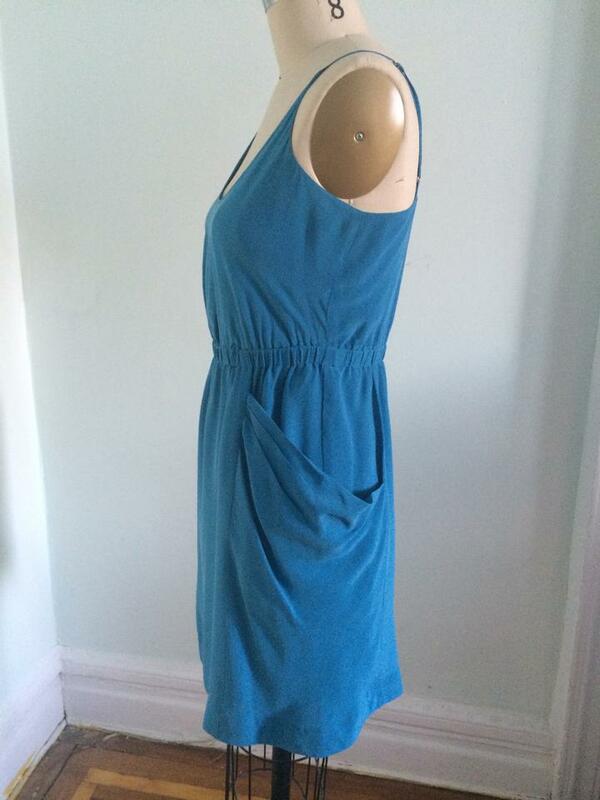 Madewell Eliot dress, size 4 in turquoise silk. 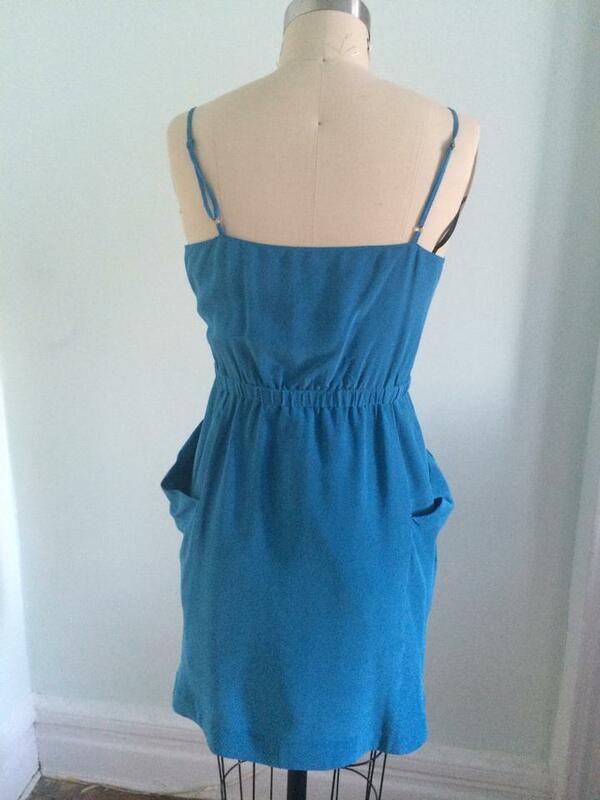 Adjustable spaghetti straps, elastic waist and draped pockets. Lined.